2. Spent a lot of time in East London, which could be the jewel of South Africa, but shhh! Let’s not let that secret get out. Beautiful coastline, and great people. 3. 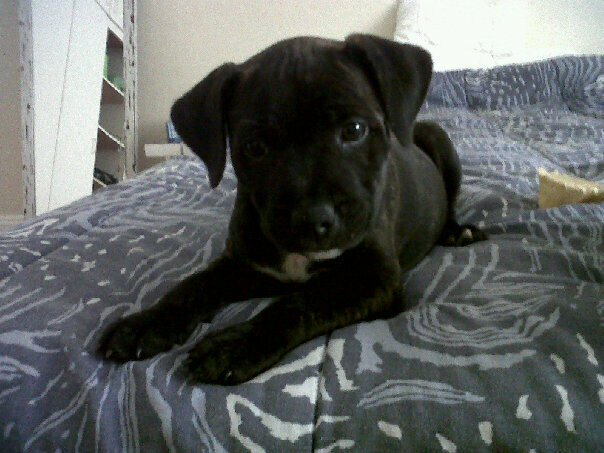 Became the owner of Splash, the Staffie puppy on one of my coaching trips to East London. A total handful, but worth every vet bill and ripped up piece of furniture. I have been on more beach walks than ever before, and he is a great running partner, and forever happy and forgiving companion. 4. On the sponsorship front, I was fortunate enough to become a part of Team Nelo, and the move has been the best thing. 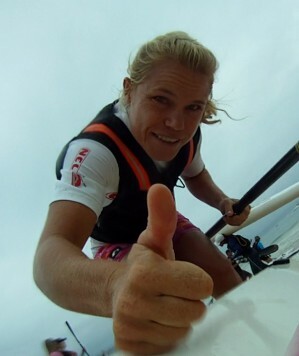 I am loving paddling my NeloSki so much, that the majority of my training is now done in the ski rather than the K1. I have also managed to sign on for 2011 with all my current sponsors. Thanks for your ongoing support PVM, Knysna Racing, New Balance! and Rudy Project (and all your support and generosity Thule). 5. I got to go to Portugal (and Spain and Dubai) and spent a few weeks in that great country, and do some pretty cool new races. 6. I won my 3rd Dubai Shamaal, 3rd Cape Point Challenge and my 3rd SA Surf Ski Title. 7. 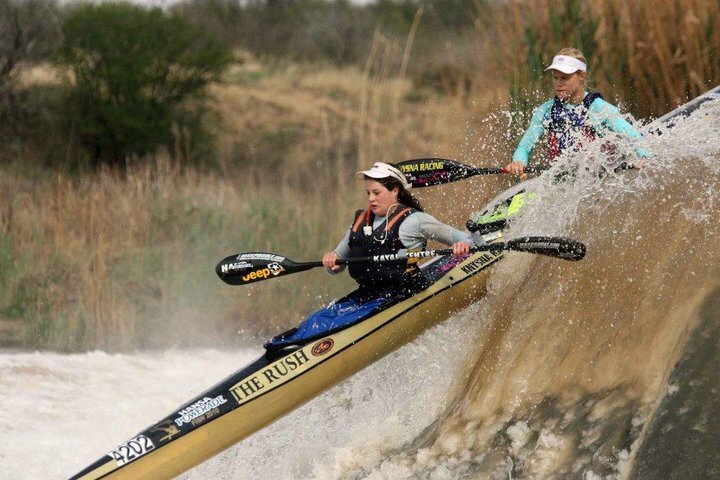 I FINALLY won the Fish River Marathon! 8. 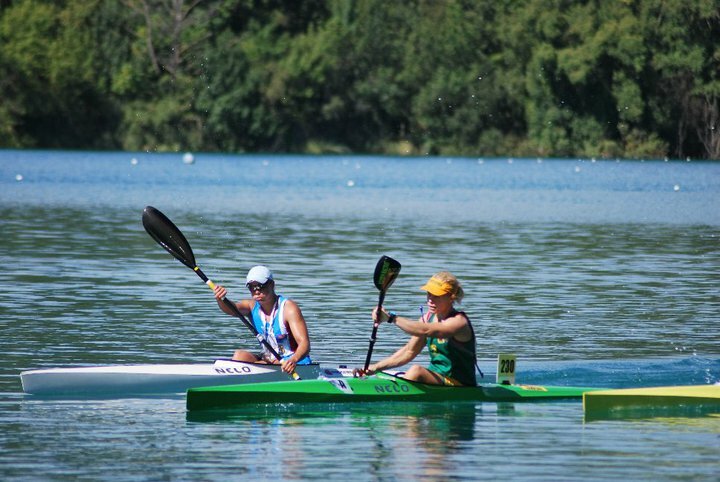 I had 2 very solid performances at the Marathon World Champs (Flatwater), coming 4th in the K1 and the K2, which makes me fired up for the 2011 Worlds in Singapore! Time to change those Wooden medals into real ones! 9. My parents came and watched some international Surf Ski events! Great to have their support. 10. Last but not least, the Soccer World Cup. What an event, and what a success for South Africa as a nation! The year is over and I am still so stoked on paddling. Here’s hoping you all have a great 2011!